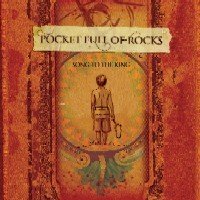 Pocket Full of Rocks is actually a name of a band (and I think it is a beautiful one – check the cover of their debut CD). PFOR started as a small worship band in a local church 10 years ago. Even though this is their debut album, you would have heard their songs earlier – “Let the Worshippers Arise” and “Let It Rain” were written by the band. I came across this group on KSBJ‘s Internet Radio and browsed to the band’s website. Heard a sample of all songs on the album – sounds impressive. Worship songs have to be from the heart and PFOR have theirs in the right place. The first song to be released from the album is “The Welcome Song“. I have a liking for songs that can be sung in church and PFOR’s songs come under that category. Thanks guys! Hope this album comes soon to India. Love to get myself a copy. Ahem, a copy of the comment I wanted to put for your previous post showed up in here. I have no clue how it got here… so I had to delete it.